And we are publishing new exercises every month! Want faster and more portable access to the labs? You can choose to work online!! Our most popular and fundamental exercises are available as online labs! You don't need to setup anything, our exercises are waiting for you. Don't spend your time setting up labs, focus on learning! No VPN! 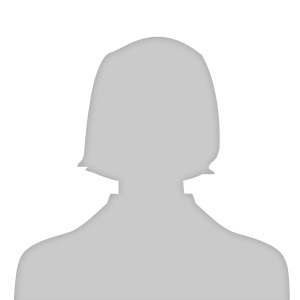 You can directly access the lab from your browser. A clear path to follow! Want to show all your hard work to your employer? We have built a way to demonstrate the completion of online exercises. 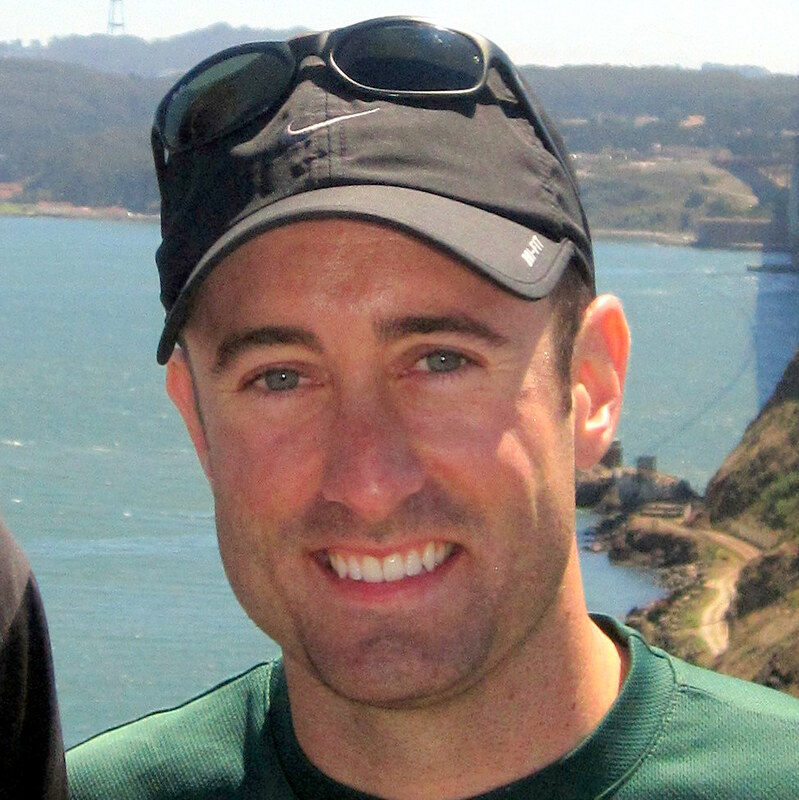 All online exercises allow you to "score". 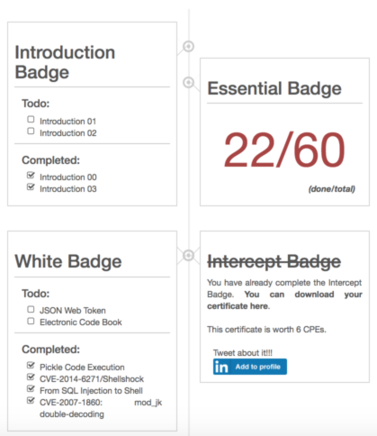 Once you score all the exercises of a badge, you receive a certificate of completion. We have already issued 11099 certificates. We are so sure you’ll be happy with your purchase that we offer a “15-Day Money-Back Guarantee”. If for any reason you wish to discontinue using the PRO version, we will promptly issue a refund. 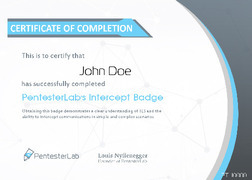 "I just finished the Intercept (MiTM) Badge. I think it’s one of the best on offer, not least because it forces students to figure out how to setup an internet-facing DNS server. DNS and TLS man-in-the-middle attacks I think are some of the most fundamental in web security. I’m really glad to now have some hands-on experience with a few basic examples. 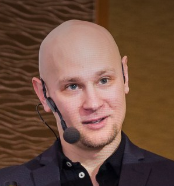 The course material and videos are exactly what I needed to quickly learn and execute on the subject matter." Follow our step-by-step videos on how to exploit the vulnerabilities covered in each exercises. Learn some tips and tricks!! Already, 169 videos available (around 11 hours and 35 minutes) covering our best exercises. We are also adding videos on an on-going basis! Going to put that 3months of access to maximum use!! Really enjoyed completing @Pentesterlab's ctf badge. Well put together site and exercises - definitely recommended. 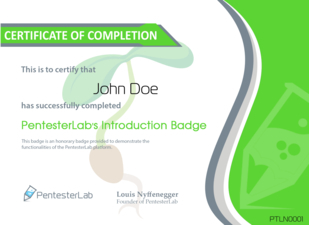 "PentesterLab is an awesome resource to get hands-on, especially for newbies in web penetration testing or pentesting in general. 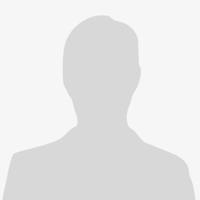 It gives insights to possible web security flaws, their behavior and approaches that can be taken to exploit them. More of, it does help in developing a hacker-like mindset. 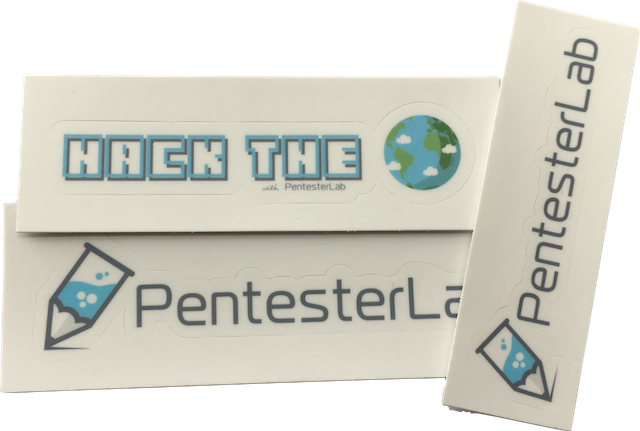 Kudos & Thanks to PentesterLab!!" "... it's a fantastic way of learning. 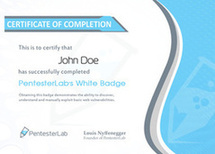 I have been a web application security guy but i feel your courses has something more..."
For one-off payment (multiple users, enterprise license, Paypal, BitCoin), contact pro _at_ pentesterlab _dot_ com.